Prayer in public schools is a provocative issue: an unpredictable mix of principle, personal, and practical. 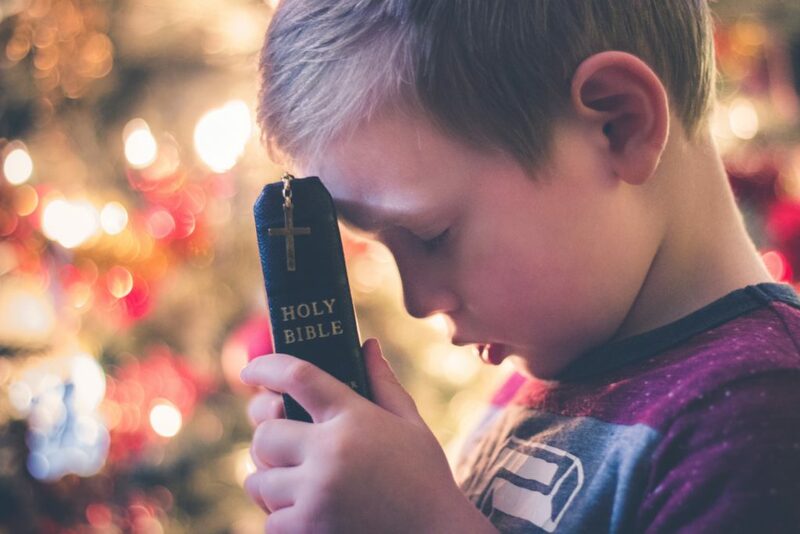 This volatile conversation has arisen in the New Hampshire House of Representatives in the form of House Bill 289, which proposes to repeal the current state law that enables a district to allow public school teachers to lead students in the Lord’s Prayer. No organization has fought harder than Cornerstone to protect religious freedom in the state of New Hampshire. However, it is beyond debate that, if tested, the current law would be found unconstitutional. A 1967 advisory opinion from the New Hampshire Supreme Court citing Engels v. Vitale makes this clear. Thus, state legislators should seek to conform this law to existing constitutional standards. The existing statute targeted by HB 289 is poorly written. It is a worthy attempt, however, to articulate the place of First Amendment religious rights in public schools. Therefore, the best way to rectify this law would be to amend it to recognize explicitly the constitutional boundaries of First Amendment religious freedom in public schools, and the definitive role that such freedom has played in our history. Cornerstone seeks to initiate a multi-partisan effort around this bill that would bring existing law into conformity with the Constitution, while at the same time respecting the place of religion in our history and society. There is no need to characterize the presence of religion in our laws as a lurking “virus,” as one of the HB 289’s sponsors stated. Respect for religion has always been in our laws, beginning with the First Amendment. Let’s not whitewash from history the ways that religion has contributed to our core identity. The very first act of Congress was to open with a prayer. The New Hampshire state constitution waxes beautifully about the right of citizens to worship, describing religious morality and piety as “the best and greatest security to government.” To quote Daniel Webster: “let us not forget the religious character of our origin. Our fathers were brought hither by their high veneration for the Christian religion.” Since the very beginning, respect for religion has been an integral part of our legal framework. Laws can only recognize, not create, reality. Thus, laws draw their meaning from the larger realm of Truth: in the words of Martin Luther King Jr., the church is “not the master or the servant of the state, but rather the conscience of the state. It must be the guide and the critic of the state, and never its tool.” To teach about Dr. King without mentioning religion would be like telling the story of Van Gogh without mentioning painting, or the story of Beethoven without mentioning music. Dr. King’s cause was clearly inextricable from his religious tradition. Thus, to remove religious references from a public school curriculum would be to erase the memory of countless great men like Dr. King. We cannot afford to forget the true story of history. For this reason, New Hampshire state education standards already include topics drawn from or referring to Bible and religion more generally. Teachers should know that they can impart the rich heritage of world history, replete with religious roots, in their classrooms, and that they can privately pray in schools when they are not acting as instructors. Students should know that they have a First Amendment right to pray in school during non-instructional times, to form faith-based clubs and associations on equal footing with other school clubs, and even to bring religious artifacts such as a bible into schools. Schools may also sing nativity-themed Christmas songs. Ultimately, the existing New Hampshire “school prayer” statute should be updated in a multi-partisan fashion that recognizes the existing First Amendment rights of students, teachers, and faculty in schools. Let’s be sure there’s no infringement of students’ rights to pray and engage in faith-based association and expression during non-instruction times. Let’s defend the rights of teachers and faculty to provide instruction related to religion when presented in a neutral manner and when serving a valid, secular educational purpose, and to participate privately in religious activity. Amending HB 289 in the manner we have suggested would not create any new rights. Organizations like the ACLU and Americans United for Separation of Church and State – which tend to be associated with polarized outlooks on religious issues – acknowledge these well-established rights. By amending HB 289, New Hampshire legislators can make existing law conform to constitutional standards while still honoring New Hampshire’s religious heritage and the memory of people like Daniel Webster and Dr. King. We could thus simultaneously delineate the role of the First Amendment in schools, and remind ourselves that we have always been one nation under God, inspired by the recognition that all people are created equal.